What starts with "L" and I can dress as it? Recently, I was invited to a costume party and I needed to come dressed as something that started with the same letter as my first name….”L”. I usually don’t do costumes well. People think that because I am a theater person, I could do this easily and probably have a closet full of costumes. They are wrong. 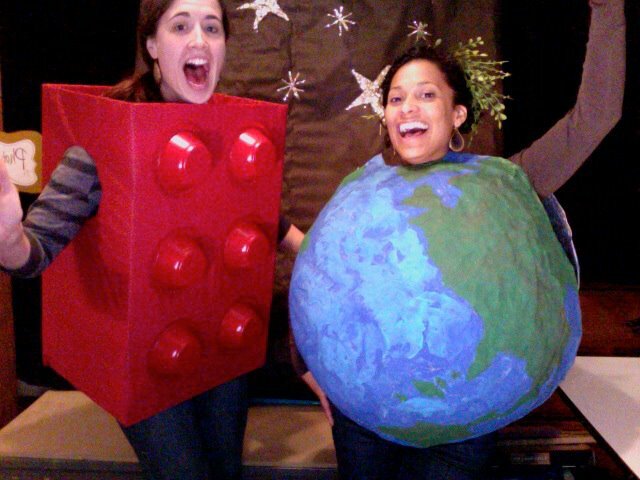 I used to go to Halloween parties dressed as….myself, or a nerd, or a cowgirl. All not very creative at all. 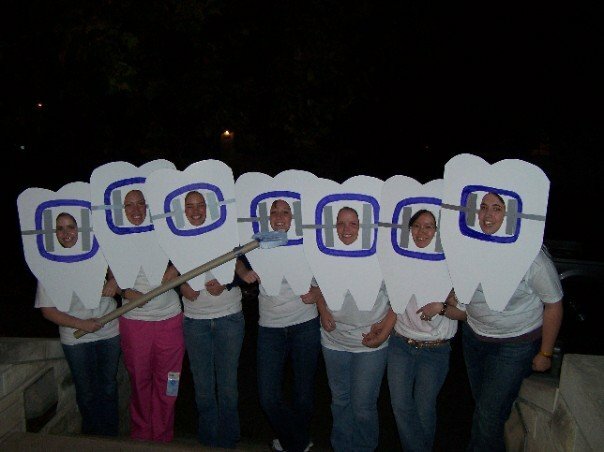 The most creative I have ever been with a Costume was several years ago, and I can’t take credit for the whole idea. Teeth with Braces!! The day before this idea was presented….a Lego!! Now THAT I could do. Thanks to Pinterest and Google, I figured out how to create the costume. Being the procrastinator that I am, I finished 30 minutes before leaving for the party. This was the finish product…. This will probably be my Halloween Costume next year! If you had to come to that same party, what would you come dressed as? When you realize that your biggest problem isn’t your biggest problem! That is awesome! I might be a sneaker, stick, speaker, steak, spaghetti, salad…this could go on for awhile.